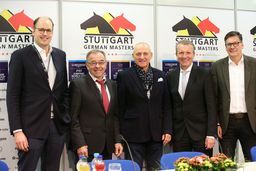 Stuttgart – “Hopp Schwyz” – the Swiss rallying cry: Thursday saw Pius Schwizer win the first qualifying class for the MERCEDES GERMAN MASTER, the second most important competition at the 34th International STUTTGART GERMAN MASTERS Horse Show in the Hanns-Martin-Schleyer-Halle – and he repeated the feat on Friday in the second quali, the Prize of ARAGON Robotics. 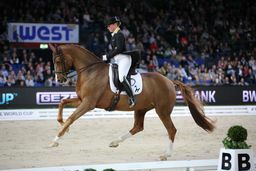 “If things are going your way, then they really do go your way. 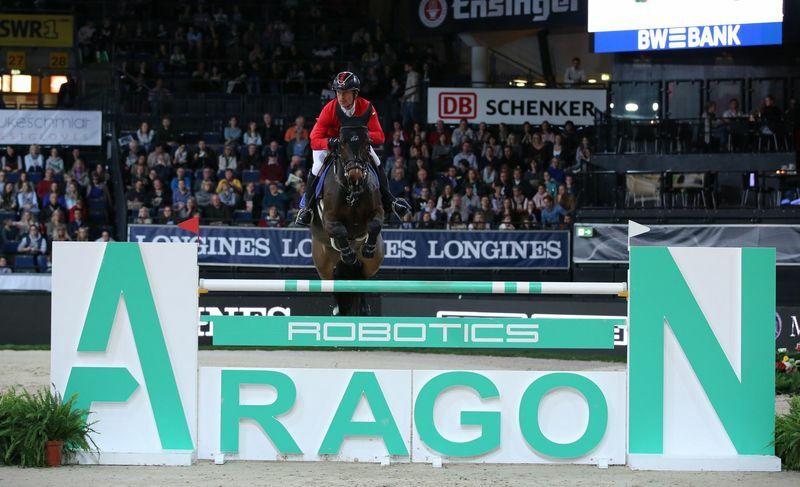 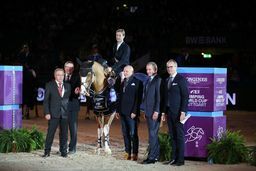 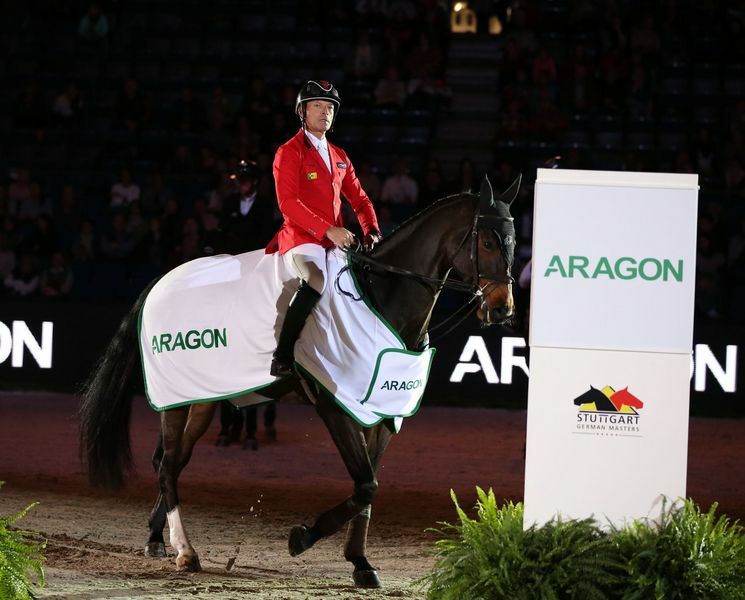 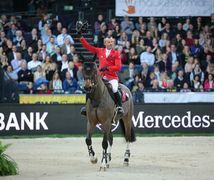 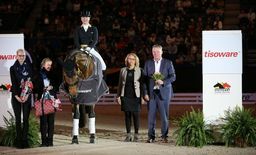 There are lots of top riders here but my horses are jumping well – we’ll keep chipping away,” said the 56-year old Swiss. 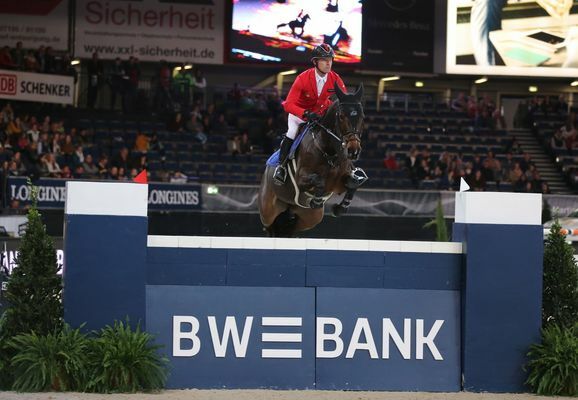 In the saddle on About A Dream, he posted a clear round in 61.07 to leave him three hundredths of a second clear of Denis Nielsen (Germany), who was also penalty point free on DSP Cashmoaker in 61.37 seconds. 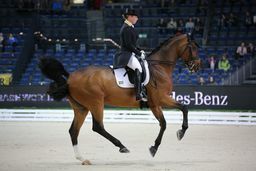 Schwizer rode Living the Dream to success on Thursday and will saddle the horse on Friday evening. 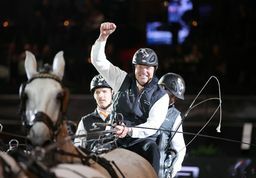 Schwizer and Nielsen will be joined in the MERCEDES GERMAN MASTER, which begins at 22:15 CET, by the following riders: Jur Vrieling (NED), Maurice Tebbel, Christian Kukuk, Philipp Weishaupt, Marcus Ehning (all Germany), Pieter Devos (BEL), Ludger Beerbaum, Hans-Dieter Dreher, Christian Ahlmann (all Germany) and Max Kühner (AUT).